CollegeCentral.com and other online job systems have made it easier for you as job seekers to find positions posted by employers seeking candidates. Unfortunately, the same technology makes it easier for scammers to create fraudulent positions to take advantage of you. While we try to screen employers and the positions they post to CollegeCentral.com, it is very important that you as a job seeker exercise common sense and caution. You need to read position descriptions carefully! 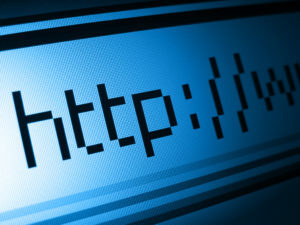 Verify that a URL listed in the ad goes to the internet domain of the company that listed it. For example, if the ad lists "www.luc.edu/hr" but when you click on it, goes to "www.lcu.edu", it could still be a scam. When using other job boards than CollegeCentral.com, read their privacy policies carefully. Also read how easy it is for employers to post jobs by going through the site's employer links. Please report your experience to the Career Services Office at Career-Services@reinhardt.edu or 770.720.5548 and to The Internet Crime Complaint Center. If the incident occurred entirely over the internet, file an incident report with the FCC at 1-877-FTC-HELP (1-877-382-4357) or online at The U.S. Department of Justice. Special Thanks to Loyola University for These Tips!